This epic sports city takes its sports bars seriously — here&apos;s a field guide to some of the top spots to catch all the action. Head to Chicago&apos;s Wrigleyville neighborhood for all things Cubs. The streets are lined with sports bars, and you really can&apos;t go wrong with whichever one you choose. Join the cheering and beer-ing at places like the Cubby Bear (1059 W Addison St) and Murphy&apos;s Bleachers (3655 N Sheffield Ave). These long-time favorites are nearly as much fun as being at the stadium. Deuces & The Diamond Club (3505 N Clark St): An industrially hip bar complete with a Miami-style patio and gourmet burgers that won&apos;t disappoint. Sluggers (3540 N Clark St): You&apos;ll find batting cages, skeeball and other games on the second floor, along with a dueling piano bar. Stretch Bar & Grill (3485 N Clark St): A sleek, cedar-paneled room awaits, plus draft beer, craft cocktails and refined American bar food. The Irish Oak (3511 N Clark St): Classic Irish meets classic Cubs, with Irish food, Guinness on draft and Cubs-themed decor. Casey Moran’s (3660 N Clark St): Spacious, warm and inviting, this Irish-influenced gastropub hosts six full bars, 30 plasma screens, an outdoor patio (with retractable roof in case of rain), a VIP lounge and rooftop garden. You&apos;re a little spoilt for choice at the ballpark itself. Guaranteed Rate Field’s very own ChiSox Bar & Grill is a lively hangout where you’ll enjoy drinks, pub grub, flat-screen TVs for miles, and a fair bit of memorabilia. And recently the SOX announced their partnership with Chicago&apos;s own Revolution Brewing, with the Revolution Brewing #SoxSocial Tap Room taking up residence along the left field line, serving rotating Revolution craft brews, such as "Hero" IPAs and imperial oatmeal stout. The pop-up will operate for two seasons. Here are a few more worthwhile spots close to Guaranteed Rate Field. Cork & Kerry (3259 S Princeton Ave): Sox fans flock to this Bridgeport bar to drink beer and indulge in Irish fare. The venue hosts live music after every Sox home game. Turtle’s Bar & Grill (3258 S Wells St): Indulge in homemade appetizers, sandwiches, salads and pastas. Check the chalkboard for specials and pick your ideal seat indoors or outdoors. Rocky&apos;s Sports Restaurant (234 W 31st St): The best part of Rocky&apos;s? The backyard beer garden fitted out with its own TVs! Mitchell&apos;s Tap ( 3356 S Halsted St): A low-key spot for classic bar grub, live music & TVs for all us sports fans. Maria’s Packaged Goods & Community Bar (960 W 31st St): Maria’s boasts a large rotating menu of bites, rare craft beers, and signature cocktails. New features include a Warped Space Beer Hall, front and back patios, and Kimski, a counter-service concept, highlighting Korean Polish Street food, helmed by Chef Won Kim. Located right next to the Museum Campus, on the shores of Lake Michigan, the views from Soldier Field are hard to beat. When it comes to pre- and post-game sports bar hopping, however, locals have a few favorites. Kroll&apos;s South (1736 S Michigan Ave): A modern environment is the perfect setting for classic American bites like pizza & burgers, plus drink specials and TVs for sports fans. The Scout Waterhouse + Kitchen (1301 S Wabash Ave): Warm and rustic, you&apos;ll be welcomed with a long beer list, innovative pub bites, patio seating and, of course, lots and lots of TVs. 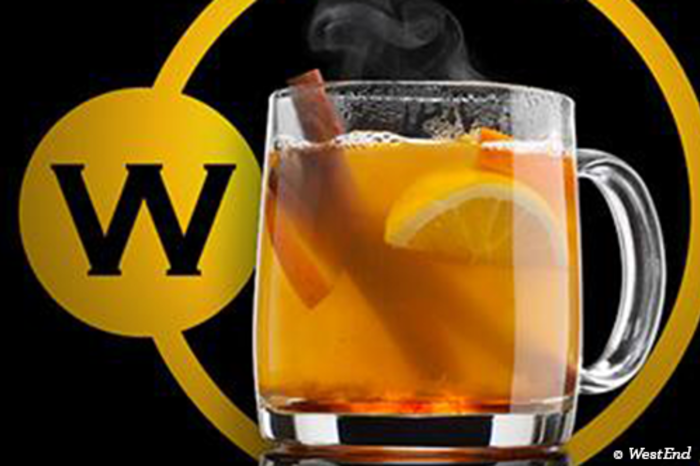 Wabash Tap (2535, 1233 S Wabash Ave): A fav among the locals, you&apos;ll find classic pub fare, pints and pitchers, pool, live music and TV sports. Kasey&apos;s Tavern (701 S Dearborn St): A top-shelf beer list and TVs nestle within this vintage storefront bar. Located on the Near West Side, the United Center sits in the midst of a vibrant, urban settings, surrounded by lots of food and drink options. Here are a few sports bar go-tos. Park Tavern (1645 W Jackson Blvd): Go upscale at the Park Tavern, where you&apos;ll find refined American fare and craft brews in a modern lodge setting, with TVs and a beer garden. 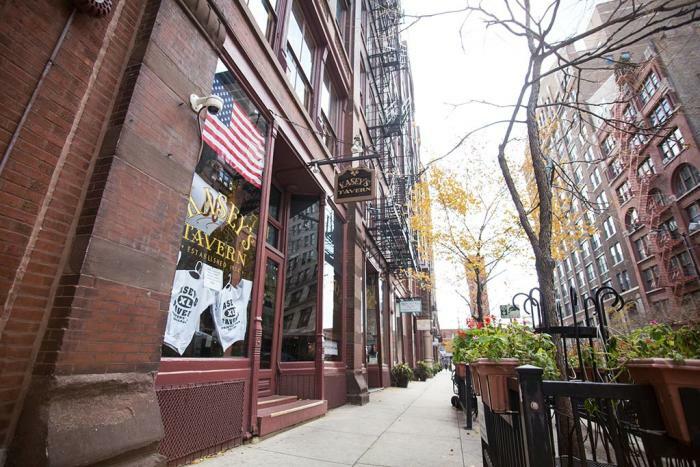 The Ogden Chicago (1659 Ogden Ave): A gourmet pub menu, craft beers and DJs spinning await. WestEnd (1326 W Madison St): If TVs are your thing, then WestEnd is your place. Thirty-three screens give patrons the ultimate viewing experience, while enjoying classic American bar food. The bar also offers free shuttles to and from United Center games. Wise Owl Drinkery & Cookhouse (324 S Racine Ave): A beer garden, TVs, local brews, cocktails and a creative menu of American classics are on offer here. The Beer Bistro (1061 W Madison St): This lively spot is where you can belly up to the bar for a craft beer and conversation with the locals. And there&apos;s patio seating too. If sports bars are your thing whether or not you&apos;ve gotten tickets to a game, Chicago&apos;s Downtown, Loop and River North areas are a great place to be. Rockit Bar & Grill (22 W Hubbard St): This trendy hot spot for locals and visitors has beer and creative pub fare downstairs, while upstairs you can dance the night away in the company of a DJ. Harry Caray&apos;s 7th Inning Stretch (Water Tower Place, 835 N Michigan Ave): Located next door to The Chicago Sports Museum, where you&apos;ll find one of the biggest Chicago sports memorabilia collections on display, Harry Caray&apos;s 7th Inning Stretch is named after the legendary sportscaster. The menu here is dominated by local craft beers and classic comfort foods. 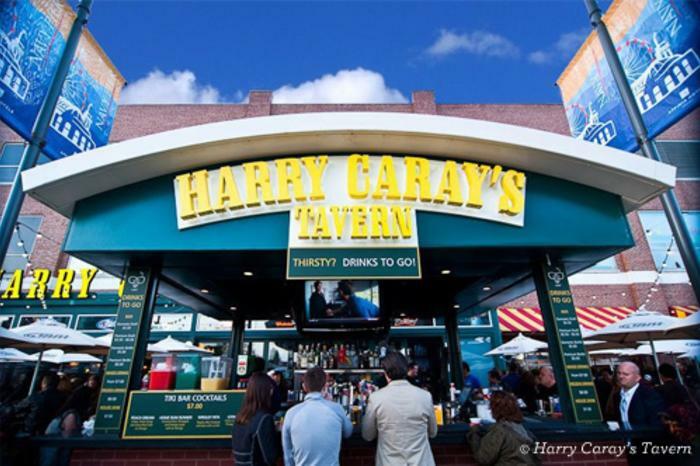 Harry Caray&apos;s Tavern (Navy Pier): If you&apos;re headed to Navy Pier, hang out at the Harry Caray&apos;s Tavern outpost there. And if it&apos;s summertime (aka baseball season), have your drinks on the patio where TVs light up the outside bar. Municipal Bar + Dining Co. (216 W Ohio St): A chic warehouse vibe imbues this River North hot spot, filled with booze, pub food and TVs (and it&apos;s open late!). 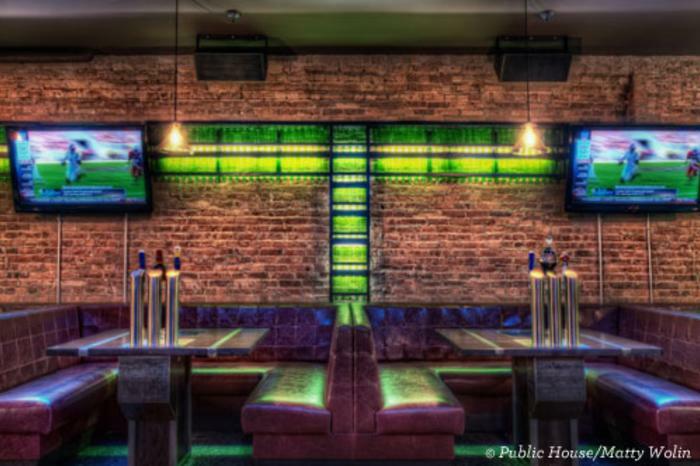 Public House (400 N State St): You&apos;ll find elevated pub grub in a modern, rustic environment at the Public House in River North. There are over 100 beers to choose from (some booths even have their own beer taps!). And, of course, lots of TVs. Fado (100 W Grand Ave): This is an authentic Irish pub with double-barreled Guinness taps on all three levels, and live music. You may not be lucky enough to spot a leprechaun, but you may catch a glimpse of a glowing bride; it&apos;s a popular spot after downtown weddings. Butch McGuire&apos;s (20 W Division St): This has been a staple since the advent of singles bars; even Hugh Hefner used to frequent the place! Miller&apos;s Pub (134 S Wabash Ave): Reopened in 1935, this is a favorite Loop locale. Grab a beer during the week and toast to the legendary Bill Veeck, who has his own honorary corner of the bar. "Vleck&apos;s Corner" pays tribute to the man who brought ivy to Wrigley Field, home of the Chicago Cubs, and fireworks to home run moments for the Chicago White Sox.